Here we go again, another month passing and this one has been an extremely busy one for me, with mock exams taking over my life pretty much! But now they're over, and now I have a lot more time to work on my blog, preparing the Christmas posts for you all... I'm back with a monthly favourites as I've been loving a few items this month so I am going to share them with you! In terms of beauty, I have had only one favourite this month which is The Body Shop Frosted Berries Body Butter. I received this in the middle of month in a delivery after attending a Body Shop Party. The Frosted Berries scent is my favourite from The Body Shop so I am incredibly happy they have brought this back for Christmas again! I had never tried any of The Body Shop's body butters before but I loved this because it moisturized my skin so well and the smell lasted such a long time! Would recommend to anyone who is looking for a really good moisturizer that just reminds you of Christmas! I love makeup at this time of year. The gold eye looks and the dark lipsticks are dug back out and I am soooooo excited to create some new looks this year, and be a bit more adventurous (hopefully). Today I am going to tell you my Winter Makeup Picks, which are useful for this time of year! I'm going to start with face makeup and I have 2 products which I think are perfect for winter because the coverage is incredible from both products that I am going to recommend. The first is my favourite foundation and that is the Rimmel Lasting Finish 25hr Foundation. It is a full coverage foundation which works really well for me, and is great for winter! The next product is probably one of the most raved about products EVER and that is the Collection Lasting Perfection Concealer. I really don't need to say much about this apart from it has amazing coverage, blends incredibly and its one of the best concealers out there! 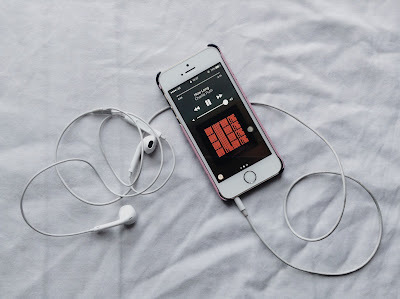 I cannot live without music, and I have recently discovered a few new songs as well as some old gems which I have re-discovered and grown to love again, so today I'm sharing my current playlist. one thing you'll notice is that I don't have any Christmas songs in this and that is because I am not the biggest fan of Christmas songs and I'd just prefer to listen to normal songs! The book has 4 chapters: the hurting, the loving, the breaking and the healing. All four chapters really make you think and reflect on life, and how things can really change. This is not like your usual book in the sense that it doesn't have a lot of words, some would have 3 or 4 words per page, but the choice of words that Rupi Kaur chooses makes such an impact and all together creates such a beautiful book. I'm back today with a post I've had planned for a while, and one I have been thinking about for a long time. I find it so hard to put it into words really, but I'm not like other bloggers. I have only been doing this for 8 months now, and it's taken me a while to get to grips with blogging, uploading, scheduling etc. this is hard because people think it's just write a bit, take a picture, done, when it's really not. There is so much work that goes into one post, so it's hard to explain to someone what it's about. I may not have the best ideas, the best writing skills, and the best pictures like other bloggers, but there is always room for improvement, all the time. In another aspect, I'm not like other bloggers because of the way they lead their lives. £42 Palette: Is It Worth the Hype?? High-End palettes are some of the most gorgeous out in the makeup world and today I am going to review a palette I have had for a while, and that is the "Amber Design" palette from Dior. It retails at £42 and it comes with 5 different eyeshadows, which means each eyeshadow is worth £8.40 which is a bit pricey for a palette in my opinion. There are 3 shimmers and 2 mattes, which personally I don't like and wish there were 2 shimmers and 3 mattes as you can create a better look with the palette. As you can see, they are not the most pigmented shades in the world, and when I did swatch them it took a couple of swipes or build up the pigment. However they are very nice if you want a subtle look, especially the glitters. The dark shades are very similar, which isn't great if you want to create a look using just this palette. The shimmers however are very nice and are especially good for inner corner highlights. 50 Questions I've Never Answered Tag! I've seen this post/video floating around the internet, so I decided to hop on the band wagon and do this tag! I don't know who came up with this tag, but all credit goes to them! Probably White Jasmine from Next or Cranberry Ice by Yankee Candle. I think I'd want Jack Maynard to be my brother because I just think we'd get on so well! I think about 27 or 28, when I'm financially stable and in a job I love. My mum is a shoe hoarder. Yes, all 3 types!!! I have. even able to do right leg since I was 9, box splits since I was 7 and left leg since I was 14. It's the best party trick!! A bike without stabilisers? I think I was 9 or 10! 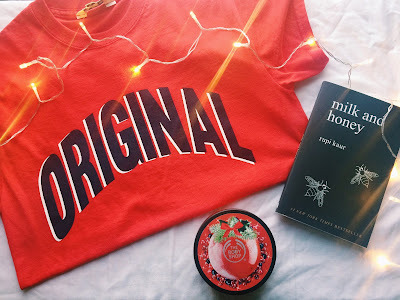 If you haven't seen my latest blog post, you wouldn't know that I went to London and Liverpool last week, and I did go shopping, because I really needed some new clothes, especially some new jeans which I managed to get. The first thing I picked up was from a Strappy Sports Bra from Hollister and it was £8.99 in the sale which I think is really good as I have paid more for most of my other sports bras. I haven't worn this to dance yet but after trying it on a couple of times, it seems really comfy. I love the detail on this too and I can't wait to wear this at dance! Another thing which I picked up in London was a T-shirt from Bershka and it says "Blah Blah Blah" on it, which I thought was really cute and this would go so well with skinny jeans and also some of the trousers I have. It was £4.99 which I think is such a good price and I always think that Bershka's T-shirts are such good quality, so I couldn't go far wrong. I'm back today with a travel post and if you hadn't seen on my Instagram and Twitter, I went to London and Liverpool during my first week of half term. For those of you who don't know, London is my favourite place on this planet, and Liverpool is another city I love, so returning to both cities was such an amazing experience! The 3-4 hour journey to London was very long but was very entertaining thanks to Radio 1's Greatest Hits (I'm old!) and my sisters amazing (sarcasm levels at a maximum) singing skills! We decided to go to Windsor, to the castle, however, when we got there it was extremely busy, so changed our mind and chose to go on Wednesday Morning instead. Windsor was a beautiful town and reminded me so much of York, Lincoln and Beverley which are all quite close to my hometown!